While PostReality has many use cases, PostReality for Real Estate is one of the most exciting. 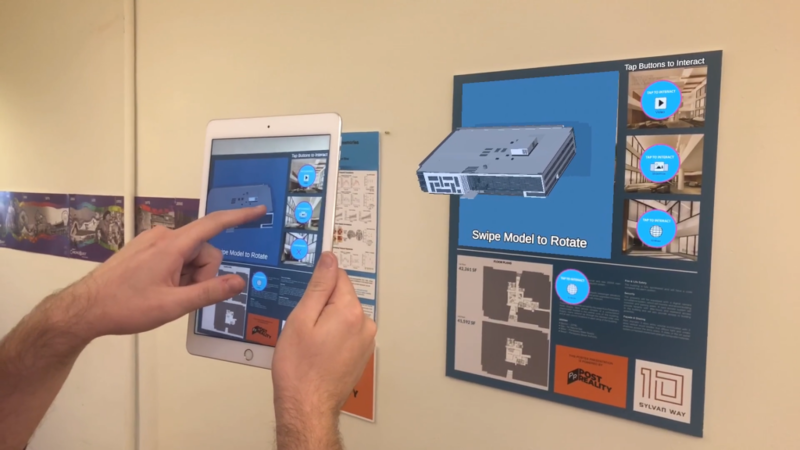 This application enables realtors to augment their posters and listings with engaging media content like images, videos, 3D models, and 360 experiences. I received high-level design direction on the product while designing the low level details of various elements and functionality. I was able to communicate my designs with my General Manager and iterate through them based upon feedback. I scripted functionality with a keen eye towards creating self-contained, modular components that could be easily managed and integrated into other systems. I also worked within existing code bases and eliminated bugs, iterated and improved the overall application, and developed brand new features.